The Reviews section is split into separate pages according to the relevant category. Please see the Section Content menu left to locate the area of interest. 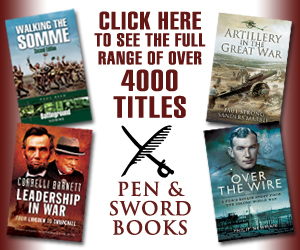 Two excellent sources of books on the Great War (and other conflicts) which I use regularly myself are Naval & Military Press and Pen & Sword Books .